Let’s face it: we’re never going to be happy with our battery life. 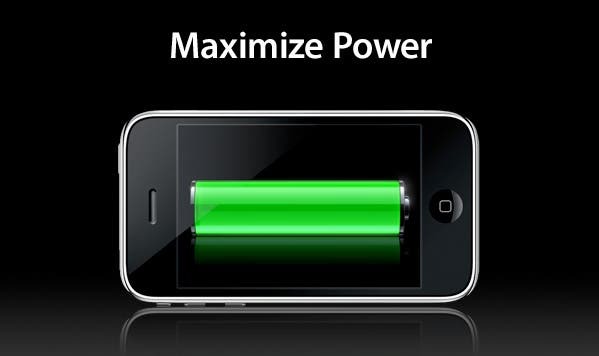 Even if it’s better, it will still run out (usually when you need it most), but even a slight improvement is still an improvement: researchers at Purdue University in the US have developed a new tool for Android users that could increase your battery life by 16%. Image via Be Free Every Day. Together with Intel and Indiana-based battery startup Mobile Enerlytics, the researchers studied the use of 2,000 Samsung Galaxy S3 and S4 smartphones across 191 mobile carriers in 61 countries, finding that almost half (45.9 percent) of the battery drain happens while the screen is off and we’re not actually using the phone. Most of this (28.9 percent) is guzzled up by apps that run in the background. “This was the first large-scale study of smartphone energy drain ‘in the wild,’ or in everyday use by consumers,” said Y. Charlie Hu, a professor of electrical and computer engineering, in a press release. While some of these apps are important and ensure that your communications systems are working properly… not all of them are. Now, in a paper they presented at the Association for Computing Machinery MobiCom 2015 conference in Paris this month, they demonstrated a code-based solution, HUSH, that extends battery life by a sixth (16%). HUSH works by identifying which apps are useful for users and which aren’t. For example, frequent Facebook updates during screen-off may be useful to a user who checks Facebook feeds and reacts to notifications often, but maybe useless for someone else: HUSH analyzes your behavior and treats apps accordingly. The best part of all this? It’s completely free for download! Here’s the code on GitHub. It hasn’t been packaged in the form of an app yet, but you can still use it. You can either use it now as it is, or wait until they turn it into an app. Enjoy your extra battery!